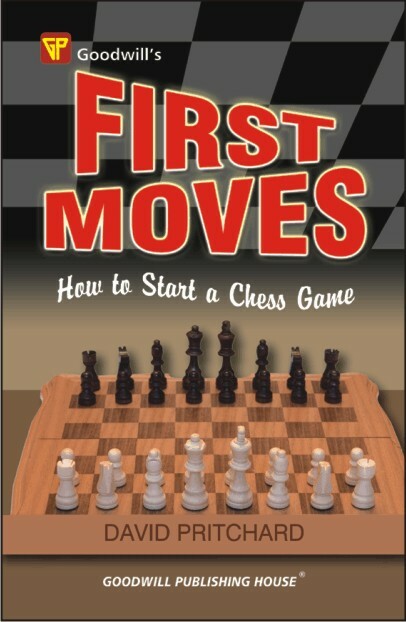 First Moves is an opening primer for the complete novice. 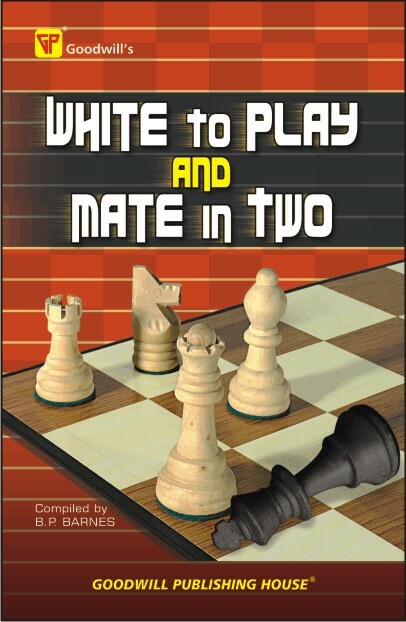 It offers clear, simple advice on how to start a game of chess playing either as White or Black. It is a book to be read, not studied. When both sides are locked in combat, it is easy to find plans. But at the beginning, signposts are few. Why move one man instead of another? First Moves will help you make the right decisions, improve your game and get you thinking straight. First Moves assumes no more than a knowledge of the rules of chess. It ends where other opening books begin. 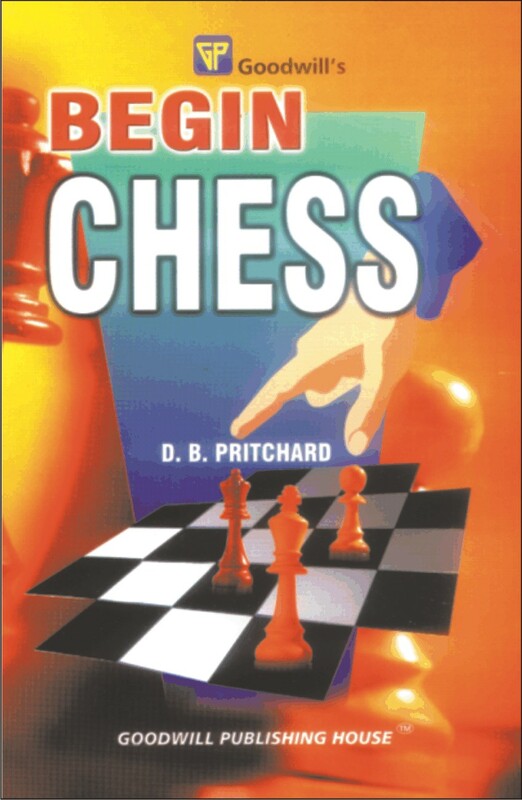 David Pritchard is the author of the standard beginner's chess book Right Way To Play Chess (which the Sunday Times described as remarkable), and Begin Chess, whose combined sales in the English language exceed half a million copies. These problems obey explicity the rules of chess, and if you know the moves of the pieces, solving them will be well within your capabilities. That is not to say they are easy to solve - they vary. The pleasure of problem chess lies not in the difficulty of solution, but in an appreciation of how White wins. There are no dull draws here, only exciting mate finishes! The author, Barry Barnes, is an International Master and Judge of the F.I.D.E. for Chess Composition, its ex-1st Vice President and Honorary Life Member. He edited the two-move problems in the specialist magazine The Problemist for 26 years. 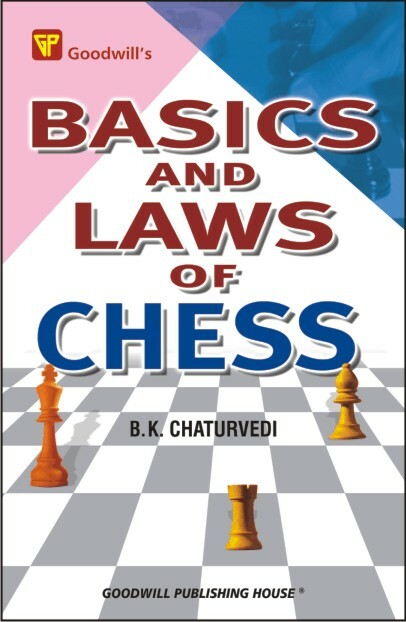 Basics and laws of Chess is meant for those learners who wish to learn the game the easy way. The basics and laws of the game are explained in quite an elaborate style. 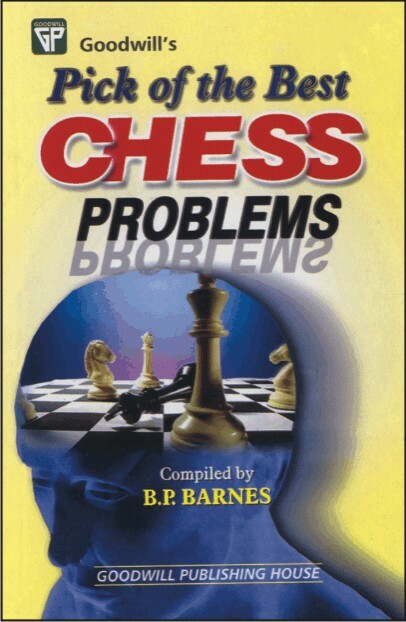 In order to make this book comprehensive some chess problems have also been given in a separate chapter. If you know the moves of the chess pieces - however well or badly you play - you will understand and enjoy these two-move chess problems. Each has a full solution and a lively commentary. You will be astonished at the depth and variety of the ideas shown, many of which you have never seen and never will see in over-the-board play. The author, Barry Barnes, is an International Master and Judge of the F.I. D. E. for Chess Composition, its ex- 1st Vice President and Honorary Life Member. He has edited the two-move problems in the specialist magazine 'The Problemist' for over 26 ears. This is the author's second book in the series of the books on this wonderful game. 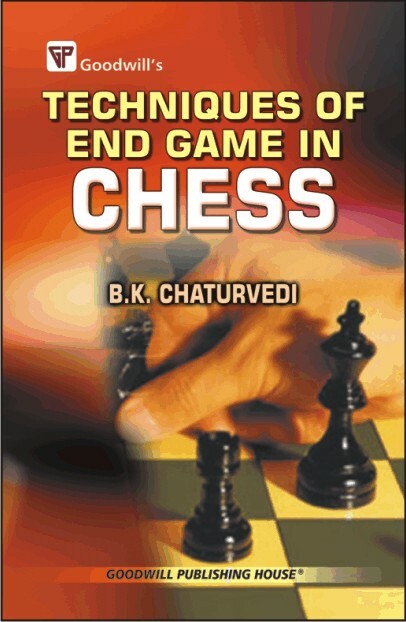 The series has been devised in such a way that each book in itself is complete but if you have the total series you would know all aspects of chess in all the possible details. The series has been planned keeping in view all the requirements of the initiated ones and the uninitiated ones. As far as the notation used in the book or books are concerned, we have used both types of the notations, the descriptive one and the algebraic one, again, for the con­venience of the -players of the older generation as also of the new or young generation. 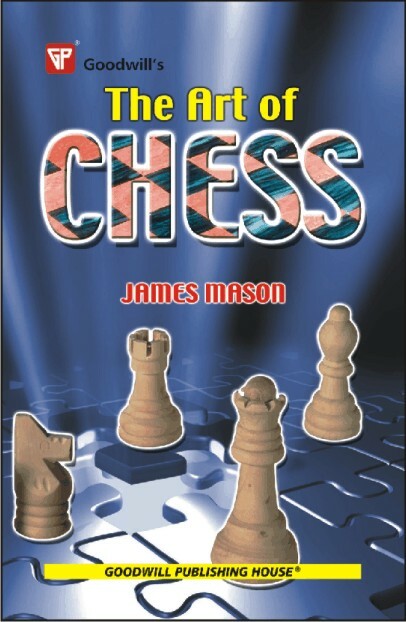 Our aim is to have this book or other books of the series useful to a very wide cross-section of the chess players. Included in this book are some typical 'problems'. These are not the positions that had occurred during the course of a game but composed deliberately to test the in­telligence of their solvers. Although the middle game does not have any water-tight problems for this stage, yet we have culled those typical problems' that get converted into the end game merely after a couple of moves or so despite their initially appearing to be very much the position from the middle stage of a chess game. For these problems and other help I owe my especial gratitude to my cousin, Mr. Satish Chandra Chaturvedi. Lastly the author wishes to convey his immense gratitude for Mr. Chaudhary of Goodwill Publishing House whose disarming smile was enough to solve any problem that cropped up during the preparation of this book. The present work is the third book in the series of on this royal game. Despite being the important link series each of these books is complete in itself. That is why a few chapters on the basics and the laws have deliberately repeated. The idea is not to deprive the reader of only one book of the niceties of the whole game. The whole intention is to make these books useful for all categories of the chess-lovers: those, who are initiated and those who are not shall also find these books suiting to their requirements. Like the human body cannot be compart-mentalised for treatment because it contains just one life and not the series of the bits of life to constitute one whole life, so is true with this most brainy game: Chess! When one goes to play one doesn't play only in stages. But as they have segregated the human organs for the convenience of study, likewise these books have been devised for the sake of their comprehension by their discerning readers. Furthermore, like the eyes are believed to be the most expressive organs of the human body, so is this last phase of the chess play, known as the end-game. It is in here that the dazzling display of one's mastery over the moves and positions manifests in its best form; it is that link of the whole that decides the entire fate of the whole. Since this stage is akin to last ditch battle, more deeds are re­quired than the words of promise in this stage. Hence the plethora of more than three hundred diagrams to drive home the point. All these charts have been culled from the variety of books on the subject and the seen games for which the author is deeply grateful. It is impossible to thank all of them for they include from the mediocres to the masters and from the bizzare to the brilliant. It is earnestly hoped that these books will contribute their mite in seeing the blossoming of a few more Vishwanathan Anand. Lastly the author expresses his deep gratitude to Mr. S. K. Chaturvedi and S. C. Chaturvedi whose deep knowledge in the game came very handy to him. And the author has no words to express all that he feels about Mr. Anand Sagar Chowdhry of 'Goodwill Publications' who has not only been the 'all-problem solver' but the very soul of this present series. May the tribe increase! Imagine you're a world renowned chess champion defending your title in the grand master tournament. Your opponent has been playing very well, but now it's time to win the game. Are you up to the challenge? Here are 200 gripping puzzles in which you are shown a board from a chess game in progress and it's up to you to win it in a specified number of moves. You'll be called on to use all your skills-Pawn, Rook and Pawn, Queen, Queen and Pawn, Bishop and Pawn, and minor piece endings to capture the other side's King. Plus, since you'll need to see the points of view of both white and black, you'll hone your aggressive and defensive end-game abilities. By working on these puzzles, players with only an elementary understanding of the game and those who are more advanced will be able to improve their abilities as well as have a brain-­teasing good time. And you never know, with fun practice like this, may be your dream of being a chess champion will be more than just fantasy after all! You're never too young to learn how to play chess! 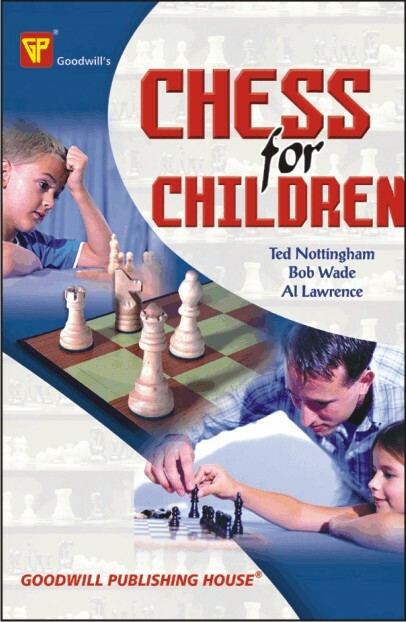 With the revolutionary Lincolnshire technique, children of all ages can begin to master the game of kings by simply practicing playing with pawns. 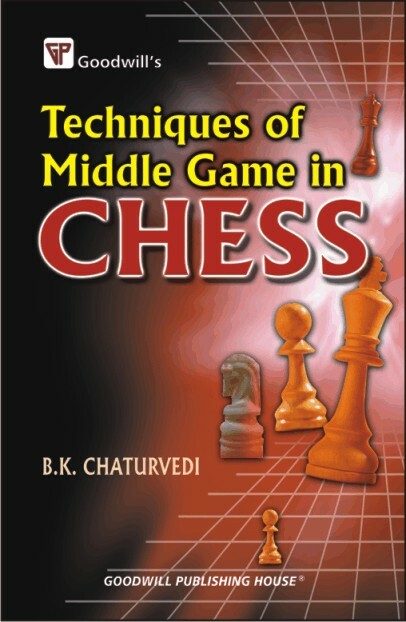 You'll learn step by step how each piece moves, how to use such tactics as Forks, Pins and Skewers to capture enemy pieces, how to read the opponent's strategy to determine whether to attack, defend, or counter with a new plan, how to checkmate and be constantly aware of all the checkmating positions. Many of the games here are specially designed to teach the action of each chessman. In chess the winner is nearly always the player who has the most active pieces and who uses them all as a team. You need constant practice and good opponents to make you a really good player. So get out the chessboard and pieces, and set up the positions as you find them in this, your first training. Some enjoy the way it takes them into a world of mystery and mastery, and others just like to beat their friends. Learn all the brilliant tactics and clever techniques you need to be a champion, including how to: - Calculate moves in advance with the help of proven examples - Master the strategies invented by world champions like Gary Kasparov - Manoeuvre into the best positions to strike the winning blow - Start your end-game techniques long before your opponent knows the end is near At the back of the book you'll find your personal certificate for successfully completing the course! Chess moves and play are given in easy-to read bold text and clear board diagrams, close-up photos, or both. Study the chess notation and the boards, working out “what ifs”, and you will quickly learn more than you ever thought you could about chess. Check your progress with the quick tests and quizzes, then play through and study some famous games. You will soon find yourself thinking like a chess player. When you start playing full games with friends (and foes), use our rating system to compare chess skills. Then check the ratings of the world’s top players when they were your age! 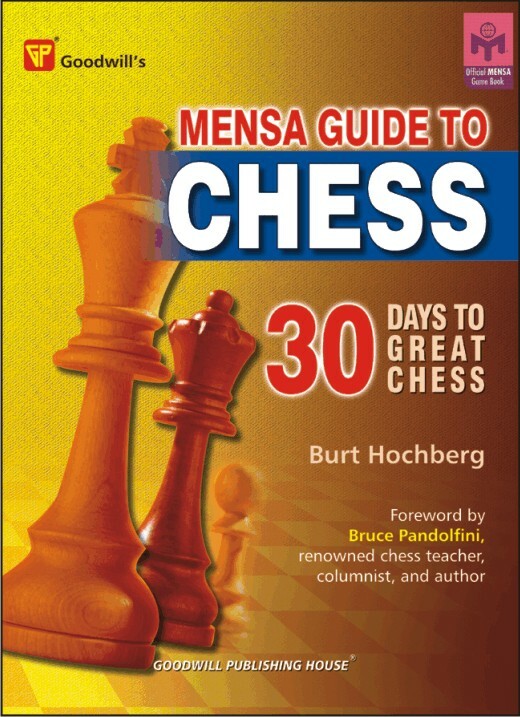 Think of this book as a mental gym where you can do a winning chess workout! Every player can use some mind stretching before a game -like the challenging puzzles here that will warm you up and get you sharp. 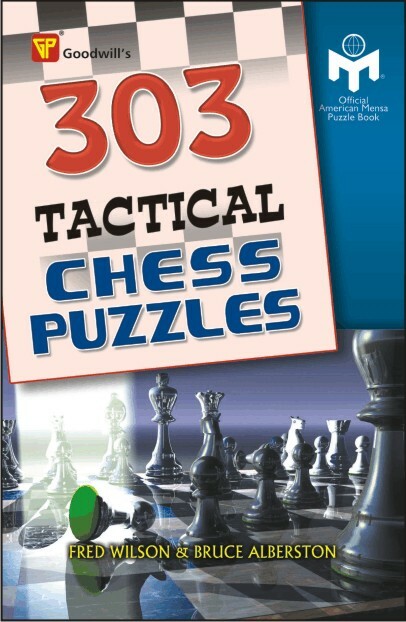 Choose from puzzles for beginner, intermediate and tournament players, and also get advice on defence as well as tips on defeating chess-playing computers. The best way to improve is to study tactics, and these puzzles will enable you to improve your skills so that you can move up to the next level. Learn how to win at chess in just 30 days. It's a game of logic and common sense, something that we all can tap into. What you need is the guidance of an expert, who makes it easy to understand and follow the moves and the rules, as well as the tactics and the strategies that will give you the edge over your competitors. Engaging explanations, examples, and review quizzes that let you approach each position as if it were an actual game enable you to succeed faster. Play like a champion. Begin Chess is no ordinary book. It is a bombshell of brilliant ideas which the author has developed over many years of teaching chess to the young and not so young. It delves right to the heart of every problem that confronts the beginner, and explains each difficulty with relentless clarity. Begin chess is simple enough to be understood by children. It is clear, authoritative - and revolutionary. No insight is needed to understand why it has been acclaimed as a classic and published all over the English-speaking world. David Pritchard is acknowledged as one of Britain's top chess writers, and as a player he has held many titles. This is a completely unabridged revised edition of the most famous general study of chess ever written. 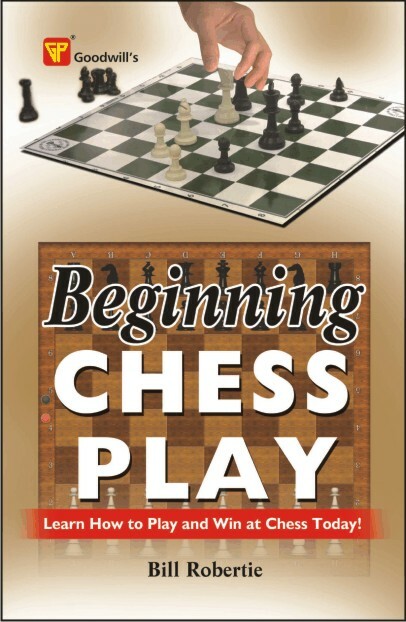 It is designed to teach the beginner and the intermediate player just about everything he or she needs to know about openings, middle game, and end game. It is remarkable in presenting both ideas and actual moves (taken from the masterplay) in the most easily assimilated form. 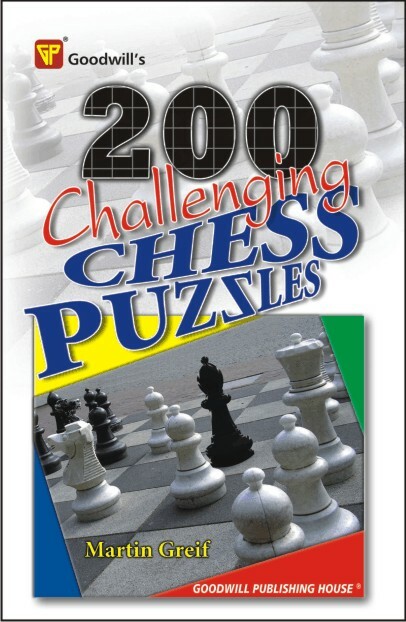 Revised and brought up to date by Fred Reinfeld and Sidney Bernstein, this book explains and makes easy for you more than 90 different openings, ranging from the classical Ruy Lopez to the work of Alekhine, Reti, Nimzovich and others. Combinations are analyzed and presented so clearly that you will soon find yourself seeing moves ahead more clearly than you did before. You will learn how to plan your game with a purpose, how to attack, sacrifice, defend, exchange, and govern your general strategy. Endings are also thoroughly covered. All in all, there is not an aspect of practical chess which is not treated, and there is hardly a player living below the rank of grandmaster who could not profit from Mason's work. 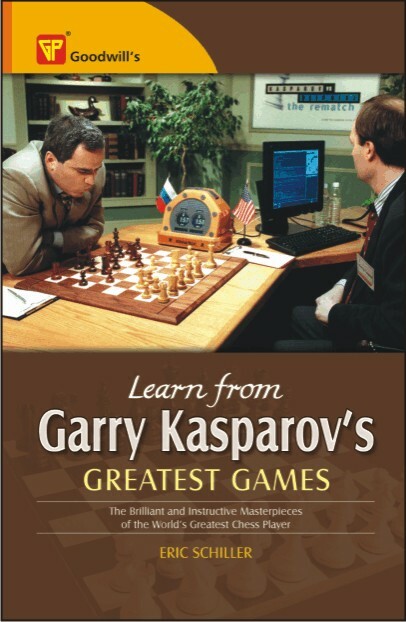 World Champion Garry Kasparov has dominated opponents for two decades with a style unmatched in beauty and brilliance now, chess master Eric Schiller, who was present at many of Kasparov's Triumphs, including the World Championships, presents Kasparov's best performances and, in simple prose, shows what Kasparov was thinking and how players of all levels can apply his winning concepts and strategies to their own games. Packed with instructive tips and colourful personal anecdotes, this insightful book sheds new light on the strategy and personality of the game's greatest champion. Learn powerful concepts such as how to control the centre, dominate the board, push pawns to victory or overpower your opponents using crushing attacks and masterful sacrifices. From exploiting weaknesses in your opponent's armour to pushing subtle advantages with pawns, you ll see how Fischer made game changing moves that propelled him into big victories. You'll learn how to bring those decisive plays into your own game! 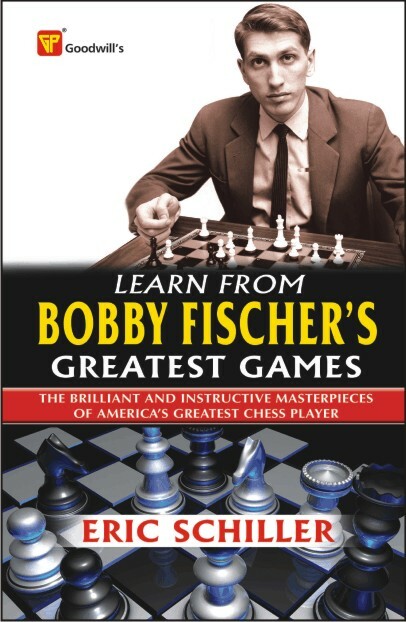 This book features clear explanation for easy and quick learning, powerful summarized concepts, hundreds of diagrams and the best games Fischer ever played. Chess is one of the oldest, most fascinat­ing, and most complex games known to man­kind. It's a game of reason and logic, where you win by outthink­ing, out planning, and outsmarting your oppo­nent. When you beat an opponent he can't say he was unlucky. We'll take you on a move-by-move journey through two actual games and introduce key concepts like center control, pins, and double attacks. You'll learn these ideas not by studying them in the abstract, but by seeing them in action. You'll also see how you can use an advantage as small as a single pawn to finish off your opponent - a key idea that's at the basis of winning strategy. 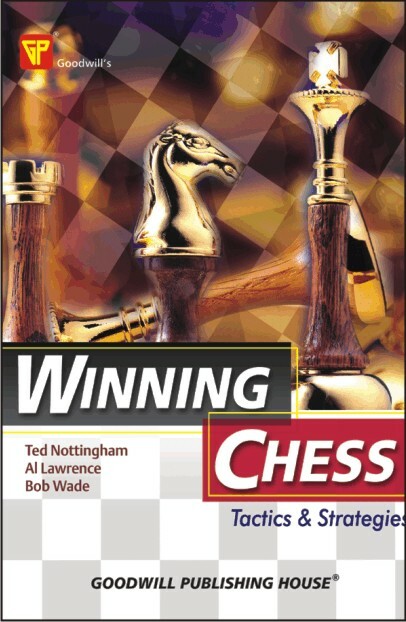 Everything you need to get started in chess is in this book. Put it into practice, and you'll start out a winner from the beginning! 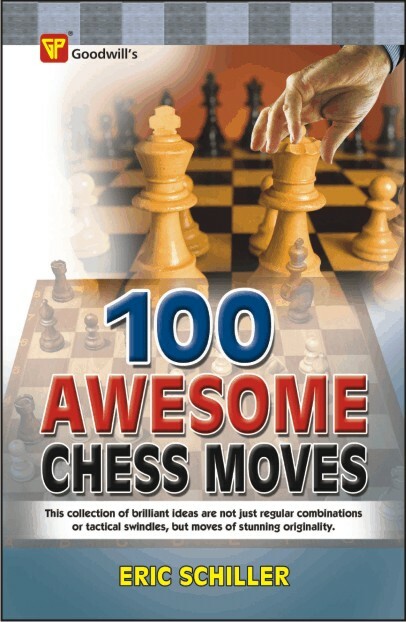 100 Awesome Chess Moves is a great work of Eric Schiller for the Chess lovers who want to achieve a reputable and successful career in the game. 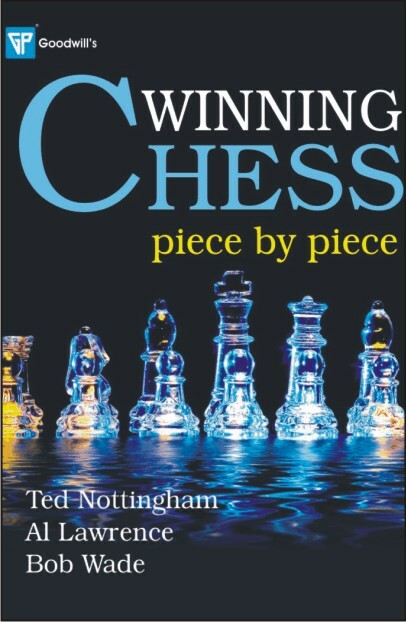 The author explains 100 stunning and original moves in the book which are unconditionally same to taste victory on the opponents and thus earn success and fame.